PISCATAWAY, N.J., October 4, 2018 /3BL Media/ ― American Standard, part of LIXIL, has received a 2018 WaterSense Sustained Excellence Award in recognition of the brand’s years of award-winning efforts to develop and promote WaterSense-labeled products and encourage water conservation across the country. The U.S. Environmental Protection Agency (EPA) previously named American Standard WaterSense Partner of the Year in 2017 and 2012, and also honored the brand with a WaterSense Excellence in Innovation and Research Award in 2016. The WaterSense program, sponsored by the EPA, supports product certification and encourages consumers to reduce water usage through water-saving products, services and simple changes in behavior. The annual WaterSense Awards recognize organizations that are on the cutting edge of water efficiency, innovation, collaboration, and outreach. 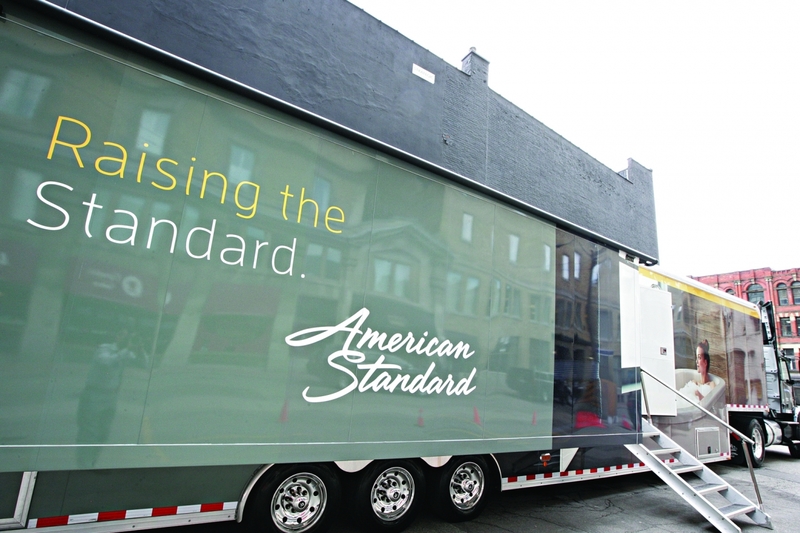 The EPA recognized American Standard for demonstrating a commitment to water conservation through the Beauty in Motion truck tour, which showcased the brand’s newest WaterSense-labeled showerheads, faucets, and ultra-high efficiency toilets. These mobile showrooms toured the country and made a total of 173 stops during 2017 reaching more than 6,700 professionals and consumers with their exhibits, a 21 percent increase from 2016. The EPA also honored American Standard for several new, water-saving product innovations introduced in 2017, including the WaterSense-certified Spectra shower collection. The comprehensive selection of showerheads and hand showers was designed to operate at 1.8 gallons per minute (gpm) to deliver an optimal showering experience while still conserving water. The collection offers a variety of flexible choices to suit all ages and mobility levels, including the industry-first Spectra Touch and Spectra eTouch showerheads, which allow the user to change spray patterns with the touch of a finger on the outside ring of the fixture itself. The Spectra eTouch also includes a wall-mounted remote that provides easy access for bathers who have difficulty reaching the showerhead due to height or mobility. Additionally, American Standard more than doubled the consumer and trade media impressions achieved to build awareness for the WaterSense message. On social media, the brand promoted a giveaway of WaterSense-labeled faucets for the EPA’s 2017 Fix a Leak Week. The brand also produced a variety of YouTube videos, including one highlighting the renovation of the Naomi’s Way family shelter that American Standard supported in 2017, promoting the WaterSense-labeled products that were used. American Standard also collaborated with a number of trade groups and technical committees to promote the development of water-efficient technologies. For example, the brand’s technical staff partnered with the Alliance for Water Efficiency to help provide the EPA with information to update WaterSense product specifications. 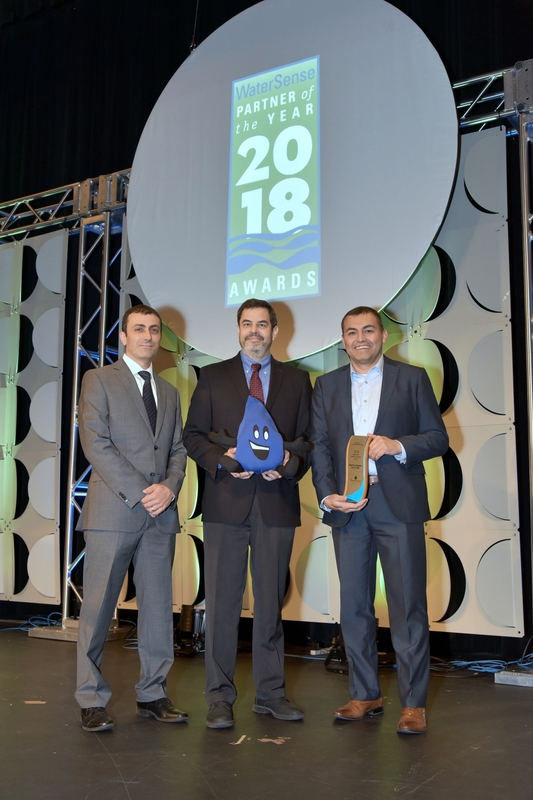 Sal Gattone, senior director, product engineering, LIXIL Americas, accepted the award on behalf of American Standard at the WaterSmart Innovations 2018 show in Las Vegas today. Since the inception of the WaterSense program in 2006, the American Standard brand and more than 1,900 other WaterSense partners have helped consumers save more than 2.7 trillion gallons of water, more than the amount used by all U.S. households for nearly 100 days. Beyond water savings, WaterSense-labeled products and homes have also helped reduce the amount of energy needed to heat, pump, and treat water by 367 billion kilowatt hours — enough to power more than 34.1 million homes for a year — saving $63.8 billion in water and energy bills. For more information on WaterSense labeled American Standard products, visit www.americanstandard.com or call (800) 442-1902. For more information about WaterSense, visit www.epa.gov/watersense. American Standard makes life healthier, safer and more beautiful at home, at work and in our communities. For more than 140 years, the brand has innovated and created products that improve daily living in and around the bathroom and kitchen for residential and commercial customers. It has been recognized with 83 product innovation and design awards in the past five years. American Standard is part of LIXIL, a global leader in housing and building materials products and services. Learn more at americanstandard.com, or follow us at facebook.com/AmericanStandardPlumbing, twitter.com/AmStandard, youtube.com/AmericanStandard01, Pinterest.com/amstandard, Instagram.com/american_standard. LIXIL makes pioneering water and housing products that solve everyday, real-life challenges, making better homes a reality for everyone, everywhere. Drawing on our Japanese heritage, we create world-leading technology and innovate to make high quality products that transform homes. But the LIXIL difference is how we do this; design, an entrepreneurial spirit, a dedication to improving accessibility for all, business growth. Our approach comes to life through industry leading brands, including LIXIL, GROHE, American Standard, INAX, and TOSTEM, as well as specialty brands such as DXV. Over 70,000 colleagues operating in 150 proud to make products that touch the lives of more than a billion people every day. LIXIL of the LIXIL Group Corporation (TSE Code: 5938), the listed holding company for LIXIL’s portfolio of businesses. Spectra eTouch™ and Spectra Touch™ are trademarks of AS America, Inc.